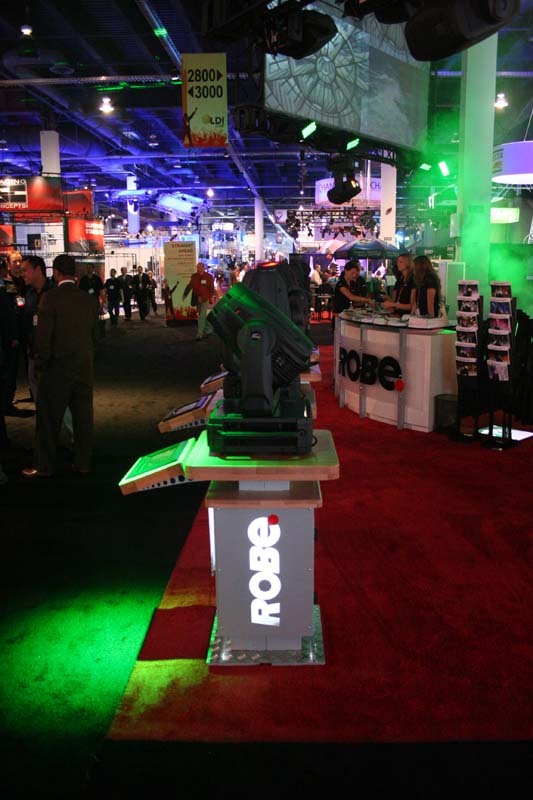 Unfortunately, I didn’t get to spend much time checking out Robe‘s booth this year. I went and got my badge scanned, and then I got whisked away by old friends. Robe has been getting some good press with new product releases. I’ve not ever had the chance to design with Robe fixtures, but I’d be open to a try. In addition to the one pathetic image I took, there is a nice gallery on Robe’s website of LDI 2008.